We Pride Ourselves on Complete Satisfaction! 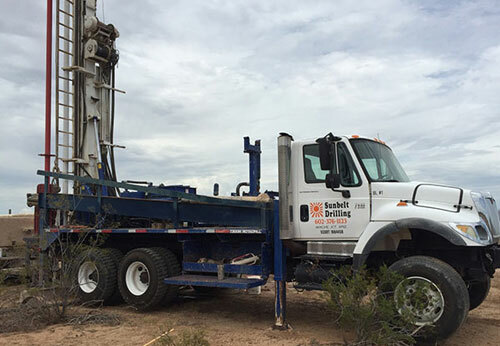 Arizona water well drilling services by Sunbelt Drilling include quality water well systems, air & mud rotary drilling, reverse rotary drilling, casing hammer, and coring. 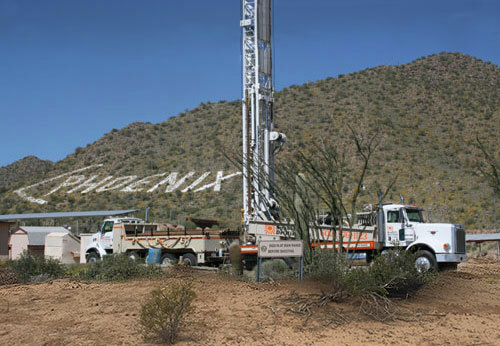 Based in Phoenix, Arizona, Sunbelt Drilling serves all of Arizona as well as California and New Mexico. Sunbelt Drilling, LLC was formed in 2001. It is owned and operated by Rod Beeman who previously owned and operated Arizona Beeman Drilling for 17 years. Rod has been drilling in Arizona, New Mexico, Utah, and California for over 32 years and comes from a family that has been in the business for over 50 years. As Owner of both companies he has worked with almost every consulting firm in the state and most of the municipalities and has extensive knowledge and experience in the completion of large Commercial Bonded Projects. Our Residential/Domestic well department handles everything from the permitting process to assisting you in designing a complete water system to meet your individual needs. We are your premier water well driller. Sunbelt Drilling employs a highly experienced staff of Drillers and Helpers and actively participates in continuing education courses to keep abreast of the various technological advances in this Industry. We operate with the most modern and up-to-date equipment to guarantee that work is performed in a professional and timely manner. We offer a variety of Drilling Methods & Services and our expertise and experience can assist you in your project from start to finish. We pride ourselves in the traditions of hard work, client service, and integrity, and will do our very best to ensure your complete satisfaction. © Copyright 2000 - 2019 Sunbelt Drilling. Phoenix Website Design, Hosting, Maintenance & SEO by WebTechs.Net. All rights reserved.